The Derry family’s business acumen and ­commitment to their workforce have allowed them to plant deep roots in Rockford. “We were all born and raised here, so Rockford is clearly home,” said Pat Derry. “One of our goals is to be among the premier employers of this area,” said Bill Derry, chairman of Field Fastener. His brother, Jim, is the company president. “We’ve been able to attract and retain the right type of people. It’s been good for us and it’s allowed us to develop this unique culture,” he said. 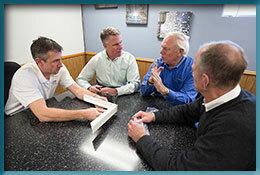 Some of the Derry family businesses include Rockford Process Control, Field Fastener, and Header Die & Tool, Inc. Brother Pat bought Rockford Process Control in 1996. 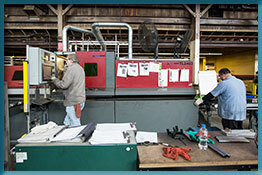 Process Control does contract manufacturing for motor ­vehicle makers and hardware manufacturing, including engine parts and heavy-duty hinges. “While product ­innovation is part of the company’s success formula, process innovation is paramount,” Pat said. “We excel at ­designing manufacturing processes that we can control and provide our customers parts that meet their expectations at ­reasonable prices,” he said.